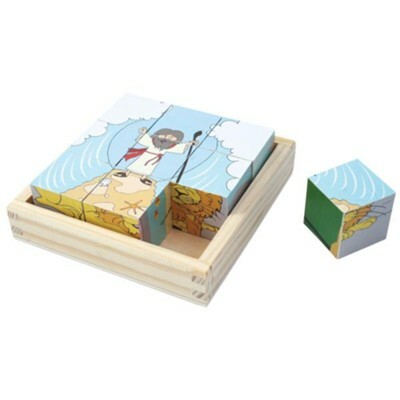 Discover some of the best loved Bible stories with the Bible Stories Block Puzzle! Features nine, 6-sided wooden puzzle blocks that depict a Bible scene when matched, and a wooden box to house all of the blocks. Recommended for ages 3 years and older. I'm the author/artist and I want to review Bible History BLock Puzzle.